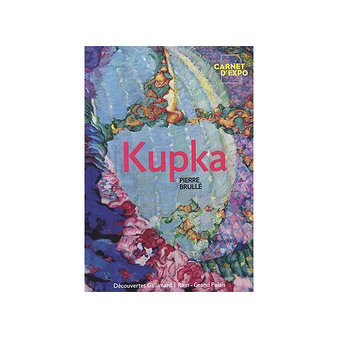 Kupka is one of the great pioneers of abstract art that emerged at the beginning of the 20th Century. But his highly personal work was not only marked by his rejection of conventional representation. It revisits a history of abstract art that has its roots in Viennese symbolism nurtured by a spiritual and philosophical heritage specific to Central Europe. In equally making a foray into scientific and technical breakthroughs that open up new horizons into the unknown, this abstract art stands out as a modern poetry of colours. 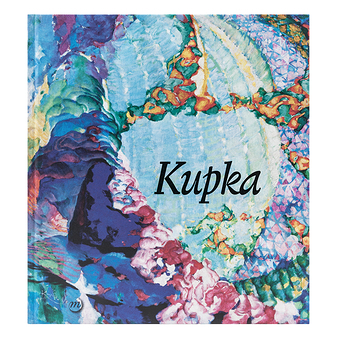 As a journey back to Kupka's entire career from the 19th Century up to the post-war era, this exhibition sheds light on the steps leading to this transformation. Colours do not only maintain their representative character in the first Parisian portraits but tend to convey physical and physiological emotions, becoming instruments of dynamism and finally, simplifying painting by discarding the subject to reign supreme. This universal geometrical language upholds the painting as fragment of a world of harmony that banishes the boundary between the visible and the invisible. This exhibition has been organised by the Réunion des Musées Nationaux-Grand Palais in partnership with the Centre Pompidou, Paris, the Národní Galerie v Praze, Prague, and the Ateneum Art Museum, Helsinki. This exhibition is organized with the support of KPMG, the Eiffage Infrastructures Branch and Fondation Louis Roederer.